Atomic War! 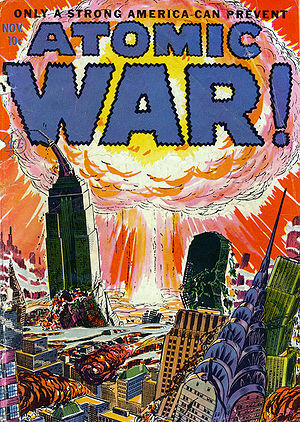 Number 1 was published in November, 1952. Works published in 1952 would have had to renew their copyright in either 1979 or 1980, i.e. at least 27 years after it was first published / registered but not later than 31 December in the 28th year. As it was not renewed, it entered the public domain on 1 January 1981 . This page was last edited on 7 June 2011, at 16:30.